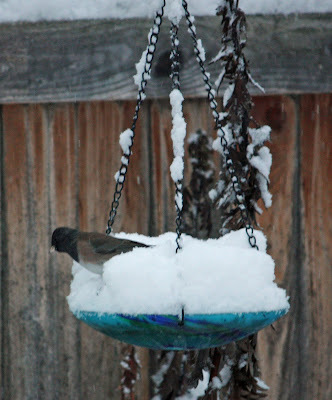 An Oregon junco clearing away a few inches of new snow to get to a free snack. We have to remember even birds go through hard times. I hope he got the snack!